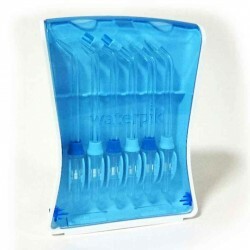 The Waterpik® Ultra Water Flosser includes ten pressure settings, a contemporary design that is smaller and quieter than previous models, a covered reservoir with in-lid tip storage, and six unique tips. 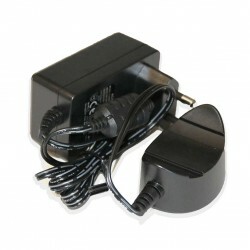 And the electric Ultra Water Flosser features a two-pin plug for use with a UK shaver socket. 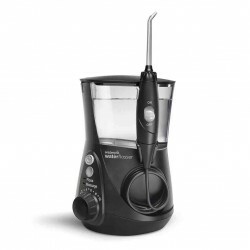 Perfect for anyone with braces or implants, and those with crowns, bridges, and veneers. 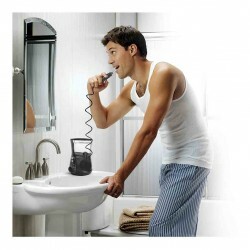 Works with a shaver socket! 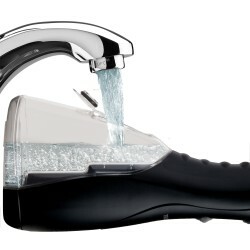 The Waterpik® Ultra Water Flosser features state-of-the-art water flossing technology and provides the ultimate in performance. 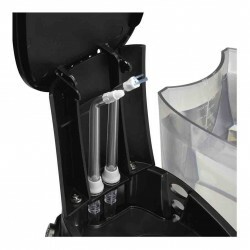 It includes ten pressure settings, a contemporary design that is smaller and quieter than previous models, a covered reservoir with in-lid tip storage, and six unique tips. 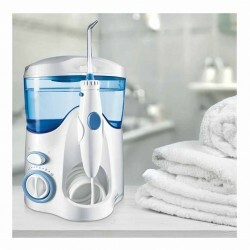 And the electric Ultra Water Flosser features a two-pin plug for use with a UK shaver socket. 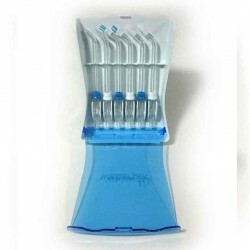 The Waterpik® Water Flosser is clinically proven to be more effective than traditional dental floss and Sonicare® Air Floss (Model HX8181) for reducing plaque and gingivitis. 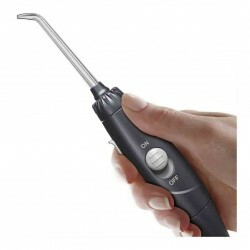 And it's perfect for anyone with braces or implants, and those with crowns, bridges, and veneers.